Our client was charged with a single misdemeanor count of Penal Code Section 243(e)(1), battery on a cohabitant, spouse or one with whom defendant has a dating relationship. The alleged incident involved a domestic dispute wherein our client dragged his spouse from a floor-level mattress about ten feet across a smooth floor. The alleged victim had no injuries, but was scared, so she summoned the police to the house. The police then removed our client from the house. 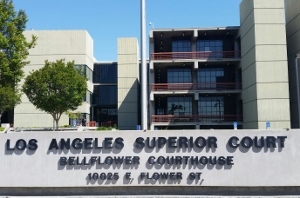 Summary: Bellflower, client angrily drags wife across floor, initial offer is 20 days of jail, hires Greg Hill & Associates, jail reduced to community service. The wife had no family in the United States, as she and her husband has an arranged marriage and came to the U.S. for a better life. The marriage was strained by the financial demands of raising a child and the highly competitive field our client, her husband, worked within. It was not as easy as they expected. Our client, who had no prior criminal record, immediately signed up for anger management courses after retaining Greg Hill and Associates. The case was somewhat complicated because our client was subject to a mandatory domestic violence protective order and wished to have continued contact with his ten-year-old son. His wife also sought a divorce and was intent on making our client’s life as difficult as she could. The alleged incident was only a very small event in the grand scheme of things, it was quite obvious. The District Attorney expressed sympathy for the case, but her first offer was twenty days of jail, fifty-two weeks of batterer’s program classes (one class per week), a $400 contribution to a battered women’s shelter, and 36 months of summary probation. The classes and jail were a problem because our client traveled frequently out of the country for work. The offer was rather severe because, the prosecutor noted, our client dragged his wife the short distance with their son present. This lack of hesitation to act was troubling to the prosecutor. Our client’s main attention was on the divorce and the ramifications the case would have on his ability to simply get closure on it. Due to the relationship between the so-called victim and our client and the minimum punishments allowed under Section 6211 of the Family Code and Penal Code section 1203.097, we could not decrease the 52 weeks of batterer’s program classes, as they are mandatory under California law. The $400 contribution to a battered women’s shelter (this rose to $500 in 2014) was also non-negotiable because it was set by law in any case involving domestic violence. However, Greg Hill negotiated with the judge, with the DA present, to allow our client a flexible schedule to accommodate his travel demands. Greg Hill also negotiated a modification of the restraining order and had the twenty days of jail reduced to ten and then to ten days of community labor. Community labor, it should be noted, means different things in different courts. However, it can mean the worst forms of labor, i.e. cleaning up homeless encampments alongside a freeway or along a flood control channel. It can also mean graffiti removal, picking up trash or gardening in a city park. Our client was happy with the plea bargain reached. Had he fought his case at trial and been found guilty of all charges, he faced a maximum of one year in jail and/or a $2,000 fine.